Details of Jamgyong Kongtrul Monastery, Lava – how to go to Jamgyong Kongtrul Monastery, Lava, best time to visit Jamgyong Kongtrul Monastery Lava when to go, where to stay at Jamgyong Kongtrul Monastery, Lava, Hotels lodges guest houses near Jamgyong Kongtrul Monastery, Lava, places to visit near Jamgyong Kongtrul Monastery, Lava sightseeing tourist spots. All details about Jamgyong Kongtrul Monastery, Lava. Lava Jamgyong Kongtrul Monastery, popular as Lava Monastery, is situated in a small village 'Lava' in Darjeeling district of West Bengal (North Bengal). Let's check out few details of Buddhist Temple i.e., Lava Monastery. • Significance of Jamgyong Kongtrul Monastery, Lava: - Let’s check out why Jamgyong Kongtrul Monastery of Lava is famous (popular) and attracts tourists. Lava Monastery is also known as Jamgyong Kongtrul Monastery and Ratnarishi Bihar Buddhist Gumpha. Lava Monastery was established by Karma Lodro Chokyi Senge, who was the 3rd Kongtrul Rimpoche. Lava Monastery, Buddhist Temple, is one of the main attractions of Lava small hill town of North Bengal. • Best time to visit Jamgyong Kongtrul Monastery, Lava: - Tourists may visit Lava Monastery throughout the year. But, it’s recommended to avoid rainy (monsoon) season because of landslide prone road condition to Lava from Darjeeling or Kalimpong or Siliguri. • Nearby places to visit from Jamgyong Kongtrul Monastery, Lava: - Tourists visiting Lava Monastery should also visit Neora Valley, Lava Nursery, Rishyap, Tiffindara, Lolegaon Monastery and Lolegaon Canopy Walk. These are the sightseeing places in & around Lava of North Bengal. • How to go to Jamgyong Kongtrul Monastery? Route map of Jamgyong Kongtrul Monastery, Lava: - Now, let’s discuss where is Jamgyong Kongtrul Monastery, Lava and which route to follow to go to Jamgyong Kongtrul Monastery. Lava Monastery is located in Darjeeling district of North Bengal and only 34Kms from Kalimpong Town. Lava Hill tourist spot is situated at an altitude of 7000 ft. above sea level. Lava Monastery is situated on the heart of Lava Bazaar (Lava Market). Tourists booked rent car for sightseeing of Lava, Lolegaon & Rishyap; need not to worry because Lava Monastery is included in sightseeing places. Very few share cars available from Loleygaon, Kalimpong & Rishop to Lava are available for local people. • Accommodations near Jamgyong Kongtrul Monastery, Lava: - Now, let’s check out hotels, lodges, or any kind of rooms on rent are available or not near to Jamgyong Kongtrul Monastery. Lava, fast growing tourist spot in North Bengal, has so many home-stays, hotels & luxury resorts for the tourists visiting Lava. Check the small video of Lava Monastery. Beware of Leeches in monsoon season at Lava forest area. 2013 Kailash Manasarovar Yatra (KMY) details has been announced and now we will check out the 2013 Kailash Manasarovar Yatra (KMY) eligibility criteria, fees & cost of 2013 Kailash Manasarovar Yatra (KMY), application process of 2013 2013 Kailash Manasarovar Yatra (KMY), date schedule of 2013 Kailash Manasarovar Yatra (KMY) 2013, online registration process of 2013 Kailash Manasarovar Yatra (KMY), 2013 Kailash Manasarovar Yatra (KMY) time duration, Kailash Manasarovar Yatra route map etc. Kailash Manasarovar Yatra (KMY) is very popular for its cultural significance, physical beauty, thrilling nature and most importantly religious value holding significance for the 'Hindus', 'Jains' & 'Buddhists' as the abode of Shiva Ji. Kailash Manasarovar Yatra (KMY), organized by the Ministry of External affairs (Government of India), is undertaken by hundreds of people every year between June & September month. • 2013 Kailash Manasarovar Yatra (KMY): - Ministry of External Affairs, Government of India has decided to make maximum of 18 batches [each batch with a maximum of 60 people] that will be sent for 2013 Kailash Manasarovar Yatra (KMY) between 9th June 2013 & 9th September 2013. Batch members will be selected by computerized process. • Duration of 2013 Kailash Manasarovar Yatra (KMY): - 2013 Kailash Manasarovar Yatra (KMY) will begin in June month this year & every batch will be on a 22-days journey. In addition to it; every selected member will have to spend 2-3 days in Delhi for Chinese visa, medical tests etc. It means total of 22 + 2/3 days. During the stay at Delhi for Medical Tests & other purpose; Government of India will provide free meals & accommodation. • Eligibility Criteria for 2013 Kailash Manasarovar Yatra (KMY): - Now let's check out who are eligible to register for 2013 Kailash Manasarovar Yatra (KMY)? Only Indian Citizen having valid Indian Passport. Age criteria: 18-70 years of age [as on 01.01.2013]. Body Mass Index (BMI) of 27 or less. Physically Fit & Medically healthy [Applicant shouldn't suffer from High Blood pressure, diabetes, asthma, heart disease, epilepsy etc]. Selected applicants will undergo a medical examination at Delhi Heart & Lung Institute and ITBP Base Hospital. 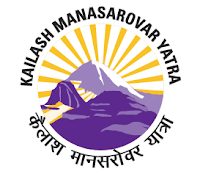 • Application Fee & other cost of 2013 Kailash Manasarovar Yatra (KMY): - Application requires no fees; but every selected applicant required to deposit a non-refundable amount of Rs.5000/- by bank demand draft in favour of 'Kumaon Mandal Vikas Nigam Limited (KMVN)' payable in Delhi to confirm his/her participation in 2013 Kailash Manasarovar Yatra (KMY). Total cost of 2013 Kailash Manasarovar Yatra (KMY) includes Chinese Visa fee, Medical Examination fee, Stress Echo Test charge, Immigration Fee, a charge payable to Chinese authorities at Tibet, Porter & Pony handler charge, Charge for pool money etc. Online Application Process of 2013 Kailash Manasarovar Yatra (KMY) - You can apply online at http://passport.gov.in/kmy latest by 4th March 2013. After completing the online applications take a printout and send the signed application with 4-photographs, photocopies of Indian Passport, family details & address on or before 11th March 2013 to 'Attache (China), China Registry (KMY), Room No.255-A, South Block, Ministry of External Affairs, New Delhi-110011'. Online application process last date is 4th March 2013 & last date of submitting the printout copy is 11th March 2013. Offline Application Process of 2013 Kailash Manasarovar Yatra (KMY) - Download KMY Application Form from http://kmyatra.webstarts.com/uploads/kmy2013_form_yatri.pdf / www.mea.gov.in/uploads/publicationDocs/21025_KMY2013-Form-Yatris.pdf. Duly filled in & signed application along with required documents should be sent by Speed post or Registered India Post latest by 11th March 2013 to 'Attache (China), China Registry (KMY), Room No.255-A, South Block, Ministry of External Affairs, New Delhi-110011'. Hurry on, Registration process of 2013 Kailash Manasarovar Yatra (KMY) is going on. For further details please call 011-2301-4900 phone number or email your queries to kmyatra@mea.gov.in or visit http://kmyatra.webstarts.com website now. Kailash & Manasarovar is the most prestigious & historical & religious place of India. Mostly, Hindu, Jain & Buddhist community people prays Manas Sarovar & Kailash as the resident of Lord Shiva. Apart from religious significance of Manas Sarover & Kailsah, there you will found the exclusive natural beauty scenes & adventures hill tourist spot. Ministry of External Affairs Government of India every year organizes Kailash Manasarovar Yatra for the people who want to tour Kailash & Manas Sarovar. There is no other way to visit Kailash & Manas Sarovar apart from touring with Indian Government’s Ministry of External Affairs Tour Package because of dangerous, life risking & border area. Now, let’s check out the date schedule & timings of Kailash Manasarovar Yatra 2012 and also the Online Application Process of Kailash Manasarovar Yatra 2012 through Indian Government. • About Kailash Manasarovar Yatra 2012 of Indian Government: - Ministry of External Affairs Government of India organizes Kailash Manasarovar Yatra ever year between May & September month. Total of 16 Batches are going to visit Kailash & Manas Sarover and Kailash Manasarovar Yatra is 27-days long hard working tough journey. Every batch will contain 60-Peoples in Kailash Manasarovar Yatra 2012. 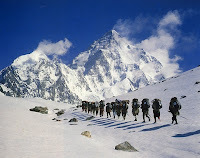 This year Kailash Manasarovar Yatra 2012 will start on 29th May 2012 and will end on 26th September 2012 – by this time duration total of 16-batches will tour Kailash & Manas Sarover. • Minimum requirement criteria for Kailash Manasarovar Yatra 2012 with Indian Government: - Since, Kailash Manasarovar Yatra journey is so tough and total of 27 days required to tour Kailash & Manas Sarovar; thus only medically & physically fit people can apply for Kailash Manasarovar Yatra 2012 on their own expenses & life risk. There is also an Age limitation for Kailash Manasarovar Yatra – Those want to apply for Kailash Manasarovar Yatra 2012 should be between 18 (18 years as on 01-01-2012) & 70 years of age. Remember only Indian Citizens can join Kailash Manasarovar Yatra 2012. • Application Process for Kailash Manasarovar Yatra 2012 at Indian Government: - Those who want to register themselves for the Kailash Manasarovar Yatra 2012 should apply online as soon as possible. All the applicants selected by Ministry of External Affairs will go through Medical Checkup at Delhi Heart & Lung Institute and ITBP Base Hospital of New Delhi. Selected applicants medically fit will get the chance to join Kailash Manasarovar Yatra 2012, but another Medical Checkup will took place on the 5th Day of Kailash Manasarovar Yatra 2012 at Gunji to check whether he/she medically fit or not for further adventurous journey. Application Form of Kailash Manasarovar Yatra 2012 can be filled up for registration process at http://mea.gov.in/mystart.php?id=5203 website. The Last date for Kailash Manasarovar Yatra 2012 Online Registration is 5th March 2012 and the last date for Kailash Manasarovar Yatra 2012 Application offline is 12th March 2012. • Kailash Manasarovar Yatra 2012 Important Tips: - Those who prepared themselves for Kailash Manasarovar Yatra 2012 with Indian Government’s Ministry of External Affairs are requested to Download Kailash Manasarovar Yatra 2012 Guide Book Online (English version [http://issuu.com/indiandiplomacy/docs/kailashmanasarovaryatra_english] & Hindi version [http://issuu.com/indiandiplomacy/docs/kailash_manasarovar_yatra.hindi]) and should visit http://mea.gov.in/mystart.php?id=5203 for Application process of Kailash Manasarovar Yatra 2012 charges, announcements, indemnity bond & acknowledge criteria. Those who are registering themselves for Kailash Manasarovar Yatra 2012, wish you all Happy & Safe Journey. Search tags: Kailash Manasarovar Yatra 2012 Date Schedule Registration Application Form Online process Kailash Manasarovar Yatra 2012 Criteria Requirements Guide Book Kailash Manasarovar Yatra 2012 India Government Age Limitations details of Kailash Manasarovar Yatra 2012. If you are looking for a new Hill Station nearby Kolkata within West Bengal and want to know about amazing Hill Tourist Spots near to Kolkata, Asansol in North Bengal that can be easily toured within 2-3 days time then Mongpong Hill Tourist Spot of North Bengal will be one of the options for you all to have a best weekend hill station tour from Kolkata within Bengal without spending much money with your family. Mongpong Tourist Spot of North Bengal is located beside Tista River near to Siliguri. The sight scenes are very beautiful during the journey to Mongpong from Siliguri on National Highway-31 by car. Mongpong Tourist Spot gives the best view of East Himalaya Mountain and has the exclusive natural beauty beside Tista River. Jungle on the hill, various types of birds, jungle animals and the trekking facility are the main attraction of Mongpong Tourist spot of North Bengal. Tourists touring Mongpong Hill Tourist Spot of North Bengal should visit Mahananda Wild Life Sanctuary which is the paradise of Birds on the bank of Mahananda River. Sebokeswari Kali Temple is located on Sevoke Hill which isn’t too far from Mongpong Tourist Spot and should be visited by the tourists as well. Mongpong Hill Tourist Spot can be reached by National Highway-31 from Siliguri (North Bengal). Mongpong Tourist spot is located opposite side of Sevoke Bazar of Tista River in North Bengal. The distance between Siliguri & Mongpong is only 31Kms by road and the buses from Siliguri Mittal Bus stand can be taken to reach Mongpong Hill Station which is next to Baghpool Bridge Bus Stop and after Mahananda Wild Life Sanctuary. Tourists may come to Siliguri via Train from Kolkata (Howrah) and then should take Car or Buses towards Duars to reach Mongpong Tourist Spot of North Bengal nearby Siliguri. There are few small hotels and lodges available at Mongpong Tourist Spot of North Bengal for the tourists to stay; but it’s recommended to stay at Mongpong Forest Rest House that will give you the most beautiful scenery of Tista River Valley or may stay at West Bengal Forest Department’s Mongpong Nature Resort. Tourists may book rooms at Mongpong Nature Resort from Kolkata by dialing the Room booking number 033-22370060. Tourists may stay at Siliguri and tour Mongpong Tourist Spot in the day time as well. Mongpong Hill Tourist Place in North Bengal – When should tourists tour Mongpong? The best time to visit Mongpong tourist spot is between October and March; but other seasons are not bad enough to tour Mongpong Hill Tourist Spot near Kolkata. It’s recommended to avoid Monsoon (Rainy) Season to tour Mongpong Hill Tourist Spot nearby Kolkata & Howrah in North Bengal. Search Tags: Weekend hill stations tourist spots near Kolkata Howrah Asansol Durgapur in West Bengal, Mongpong Hill Tourist Place near Siliguri Darjeeling, Mongpong Hill Tourist Place Routes Hotels Room charges costs, Mongpong Hill Tourist Spot room booking process, Attractions details of mongpong hill tourist spot weekend tour from Kolkata. If you can manage 2-4 days, then the best tourist spot near Kolkata is Sunghagra & Boroghagra Waterfalls located in Orissa. Tourists who want to have a pleasure of hills & waterfalls nearby Kolkata (West Bengal) can arrange a short tour to Orissa’s Sunghagra & Boroghagra waterfalls at the weekend. Let’s have a quick look of Sunghagra & Boroghagra tourist spots of Orissa below. Attractions of Tourist spot Sunghagra & Boroghagra in Orissa: - ‘Ghagra’ means ‘Water-fall’, Sunghagra & Boroghagra are the best picnic spots & weekend tourist spots in Orissa that can be easily reached from Kolkata as well. Sunghagra waterfall of Orissa is 100ft high and located in the Orissa Jungle. Tourists after visiting Sunghagra water fall should travel 10Km distance more to see the much higher waterfall named ‘Boroghagra’ which is 200ft high and has the mind-blowing view of ‘Jharna’ / ‘Jolpropat’. If tourists able to manage time then could go Gonasika Mandir which is located on Gonasika Hill (27KM distance from Boroghagra Waterfalls) in Orissa. Places to visit near Sunghagra Waterfall tourist spot in Orissa: - It’s recommend to hire a car and tour Sunghagra waterfalls, then Boroghagra waterfall of Orissa and from there should visit Gonasika Hill Temple of Orissa. Path / Way / Route to Sunghagra Waterfalls Tourist spot of Orissa: - Tourists who want to tour Sunghagra waterfalls in Orissa should board Trains from Howrah (Kolkata) towards Cuttak and go to Jajpur-Keonjhar Road Railway Station and from there tourists have to take Bus or hire Car to Keonjhar Town City where they should stay. Distance of Sunghagra from Keonjhar Town is only 5-6 Kms. Other than, Railway (Train) route, Buses are also available towards Keonjhar (Orissa) from Kolkata Esplanade Bus Stand (No bus on Sunday). Where to stay at Sunghagra Waterfalls Tourist Spot in Orissa? There is no accommodation (hotels, lodges, rooms) available at Sunghagra waterfall tourist spot as it’s a jungle. Tourists should stay at Keonjhar Town or may book rooms at OTDC Guest House near to Keonjhar Town. Room charges of Orissa Tourism Development Corporation Guest House vary depending upon the room size and season. OTDC Guest House Rooms of Keonjhar Orissa can booked by calling 06766-253606 (Phone number) and apart from OTDC Guest House there is other cheap (low) rate hotels / Forest Bungalow available at Keonjhar as well. When to visit Ghagra Waterfall Tourist Spots in Orissa? Tourists are advised to visit Sunghagra waterfalls & Boroghagra waterfalls of Orissa during October and March month and to avoid Summer & Rainy seasons. Search tags: Weekend tourist spot places near Kolkata Howrah, Sunghagra Boroghagra Gonasika Hills Orissa, Picnic spots nearby Kolkata Howrah, Hotels Rooms Accommodations lodges details Sunghagra Boroghagra waterfalls tourist spots Orissa, Route to follow how to reach path map routes to Sunghagra from Kolkata, Room booking in Sunghgra tourist spot, places to visit near Sunghagra waterfalls attractions best time to tour Sunghagra waterfalls tourist place in Orissa. Are you looking for tourist spot in Bengal near Kolkata, Howrah for spending 1-2 days? Do you want to know where to visit in weekend tour to Forests or Hills near Kolkata, Howrah? Let me tell you, Garhpanchkot Tourist Spot in Bengal is a place near Kolkata and Howrah for weekend tour. The tourist spot Garhpanchkot, Bengal is located at the foot-hill of Panchet Hill in West Bengal. Exiting Hill Tourist Spot Garhpanchkot surrounding with Forest is the perfect tourist spot in Bengal near Kolkata and Howrah for any sort of Weekend Family Tour. Where to Stay at Garhpanchkot Tourist Spot in Bengal? There are so many small and large Resorts, Hotels at Garhpanchkot Tourist Spot of Bengal for staying during holiday tour near Kolkata, Howrah in West Bengal. Apart from Garhpanchkot Hotel and Resorts; there is WBFDC Resort available at Garpanchkot Tourist place in Bengal. Tourists of Kolkata, Howrah can Book Hotel Rooms at Garpanchkot Tourist Spot in Bengal from Kolkata WBFDC Booking office located near Wellington Square at Kolkata. Those who have arranged short tour to Garhpanchkot Tourist Spot in Bengal can also visit Mython Dam which is not too far way from Garpanchkot Tourist place in Bengal.